Adds V-neck sweater; shorts and short-sleeved shirt improvements; minor bug fixes. Awesomely original, creative fun for boys and girls ages 2 to 8. 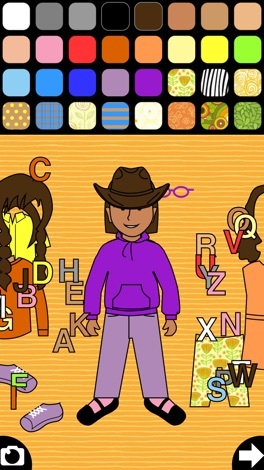 Kids pick outfits, colors and patterns by tapping and moving items on screen. Boy and girl dolls are included. No score-keeping, no repetitious music, no makeup or immodest clothes. Kids focus on their task, show their designs to siblings or parents, then tap the arrow to start a new doll. Clothes snap into place, so finger accuracy is not required. 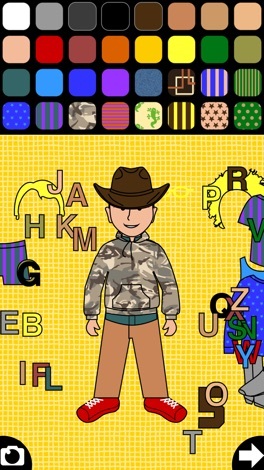 Get Dressed is ideal for teaching touch-screen concepts to toddlers, kids with special needs, and new iPad users. The interface is super-responsive and simple. Kids see dolls of both genders, all complexions, wearing clothes any kid might wear. Children who are learning to dress themselves love it. NOTE: An alert with a link to the full-featured version of this app appears occasionally. Click "No Thank You" to dismiss the alert. 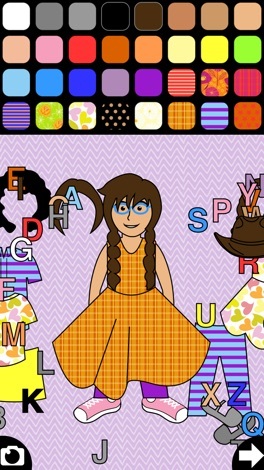 The full version app is called Dress-up and includes all of the Get Dressed kids and clothes, plus additional kids, superheroes, a dancing girl, wheelchair, winter clothes and hospital items.